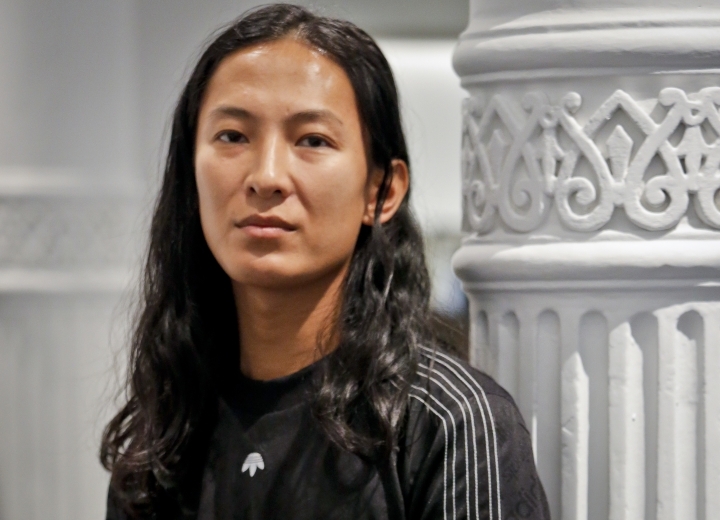 NEW YORK — Designer Alexander Wang is, by his own description, a total sneakerhead. He once even designed a whole clothing collection around them, with dresses, tops and handbags emulating his favorite sneaks — like the classic white-and-green Adidas Stan Smith. Now, Wang has taken his sneaker love to a new level, partnering with adidas Originals for a line of apparel and footwear that seeks, in his words, to "disrupt" the famous Adidas look while still preserving its familiarity. One example: rotating the well-known trefoil logo upside down. Another: "deconstructing" the Adidas sneaker. Also, the entire collection is unisex: Pants, tops, shoes. Wang introduced the new line as a surprise finale to his Fashion Week runway show Saturday night, in a huge space on a Hudson River pier. After modeling creations from Wang's own label, models rushed backstage to change into new adidas Originals garb, while a one-and-a-half minute film teased the collection. Then they marched onto the runway, more than 70 of them, all clad in black, as the crowd — which included Madonna and Nicki Minaj — craned their necks and snapped endless photos. It was, Wang said, "the biggest show we've ever done." In designing the new line, the key challenge was to change up the Adidas look so it feels fresh — but not to the point that it's unrecognizable, Wang said in an interview. "It was really about saying, how do we take something and shake it up a little, disrupt it, but at the same time not change it so much where it doesn't feel right." The 32-year-old designer is recognized as one of the most talented and busiest of his generation. He launched his own, eponymous label 11 years ago, at age 21. Last year, he ended a prestigious three-year stint as creative director at Balenciaga, a job that had him splitting his time between Paris and New York. Since then, he's been back fulltime at his own label, where he focuses heavily on streetwear — and is a favorite of the celebrity set. 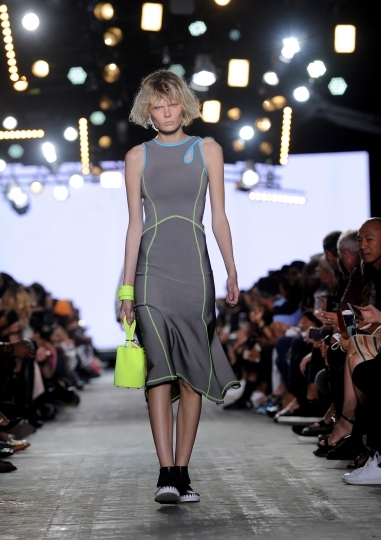 As for Adidas, it clearly wanted to capitalize on Wang's edgy and youthful vibe. 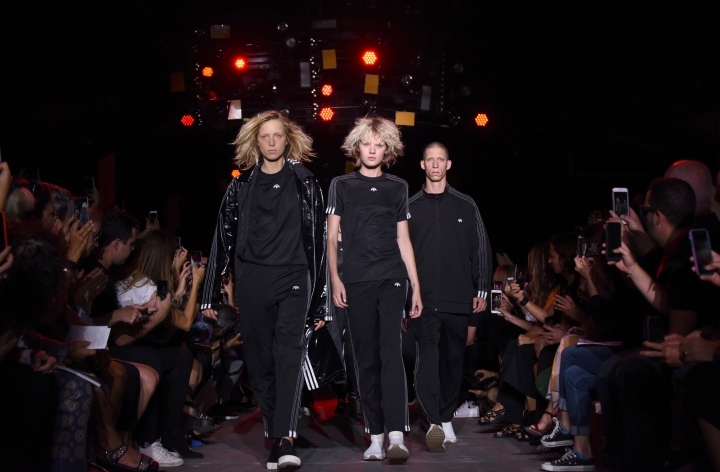 "I've been a fan for a long time, this connection he has with culture and New York and breaking down boundaries," said Nic Galway, vice president of design for adidas Originals, who began exploring a partnership with Wang the day after attending the designer's 10th anniversary runway show last September. For Wang, it was a chance to indulge in his sneaker love. "I grew up on sneakers," he said. "It's a very interesting time obviously for (all) sportswear, the whole market and how people utilize fitness, incorporate it into their daily uniform. So the sneaker is something that I've always been very close to. And it's always been something that's very hard for us to do in house, to be honest — obviously Adidas has the most innovative resources." Wang also showed his own label's spring collection on Saturday night, and it was a marked contrast to the all-black garb that came later: Colorful, whimsical warm-weather clothes that seemed destined for the beach. 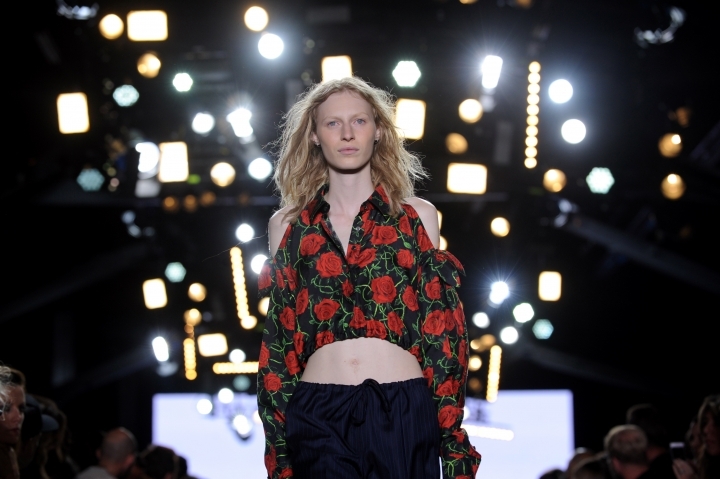 He said backstage that he was going for a "liberating, free, surfer attitude and sensibility. Everything was put through the lens of water sports." Wang's after-parties are as famous as his shows. 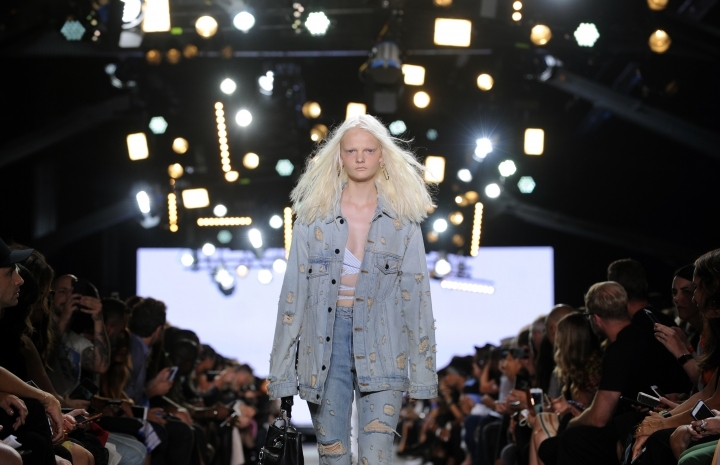 As guests left the runway, they walked into a cavernous space filled with colorful trucks, some dispensing snacks, Slurpees, or stronger beverages. Partiers could take a can of spray paint and decorate a van, if they chose. The adidas Originals collaboration — first available on Sunday via popup trucks at three stops in New York City — is yet another effort by Wang to keep moving forward in an industry that is fast changing. All the recent upheaval in the fashion industry — including a slew of recent departures of designers at top labels — keeps him on his toes, he said. "In the past, I was used to thinking very long-term and big-picture," he said. "But now there has to be a different way of thinking and approaching certain subjects. You have to think faster, roll with the punches. I always want to look forward ... especially in today's world."